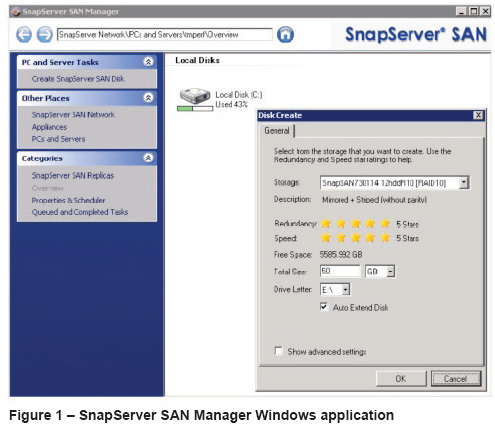 Whether you are using VMware for your virtualization or Microsoft’s Hyper-V, the SnapServer SAN S2000 has been thoughtfully optimized to integrate tightly with virtualization platforms. 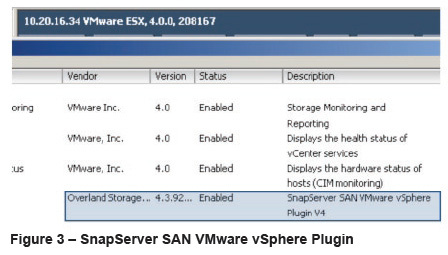 With integrated software for managing the SnapServer SAN’s targets directly from within the native virtualization environments, administrators no longer have to utilize multiple tools for managing their virtual server storage. Creating storage for your virtualization environment may be complicated today. With the SnapServer SAN’s integrated management interfaces and the Wizards that are there to guide you through every aspect of creating and managing your storage, you’re no longer burdened with the complexities of creating your virtual machine storage or managing your mirroring or replication tasks. 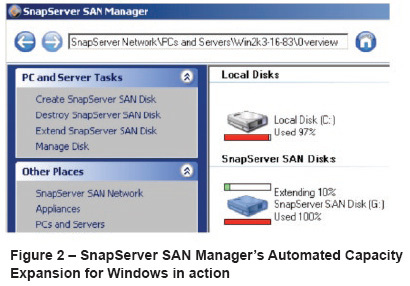 • Full management interface for the entire SnapServer SAN environment with full support for Microsoft MPIO VDS and VSS.